KCGM General Manager Cecile Thaxter said the purpose of the investment program is to enhance the development of the community in which KCGM and its employees live and work. “KCGM’s workforce is passionate about building collaborative partnerships in our community that create value and improve lives for all of our stakeholders,” Ms Thaxter said. “We not only provide support from a monetary perspective, we also have a committed workforce that actively volunteers in our community. We have a dedicated Community Reference Group and we provide in-kind support that can range from providing wooden pallets to local community hub projects to unused media equipment for local schools,” Ms Thaxter said. East Kalgoorlie Primary School Principal Judith King said KCGM’s community partnership with the school dates back to 2010 and has been cemented further with the recent four-year partnership commitment towards the school’s Resource Community Centre and Specialist Classroom. “This partnership allows for the school to provide a safe and nurturing environment for our students. Allowing all students at the school to develop, improve and learn includes empowering the entire family to have direct involvement and investment in their child’s education,” Miss King said. 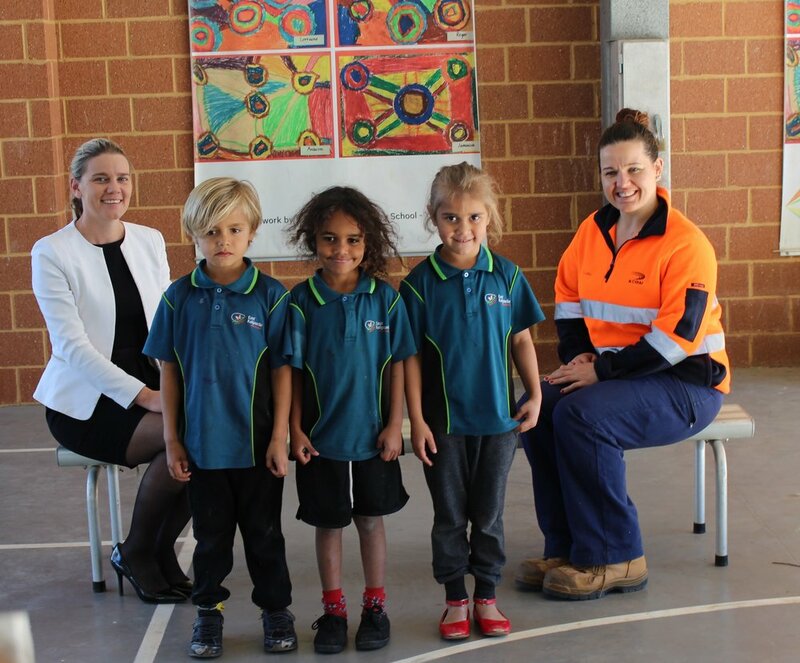 KCGM has been recognised as an eligible entrant in this year’s Department of Mines, Industry Regulation and Safety’s Community Partnership Resources Sector Awards, for their partnership with East Kalgoorlie Primary School. Last year, KCGM finished ahead of eight other finalists to win the community partnership award for its long-standing relationship with Kalgoorlie-Boulder Urban Landcare Group. KCGM's other community partnerships this year have included a diamond sponsorship for Heartwalk 2018, a gold sponsorship for Goldfield’s Girl, continued support of Life Without Barriers - Aboriginal Driving Program and Kalgoorlie Women in Mining, and major sponsorship of this year’s NAIDOC celebrations in the City of Kalgoorlie-Boulder.